We’re launching our latest conference to a wider audience today. Artemis ILS NYC 2017, our first U.S. event, was announced to our newsletter subscribers yesterday and now registration for the conference is open to the world. With Artemis ILS NYC 2017 we’re taking a different approach to our successful ILS Asia event (which will be back in Singapore in July 2017). 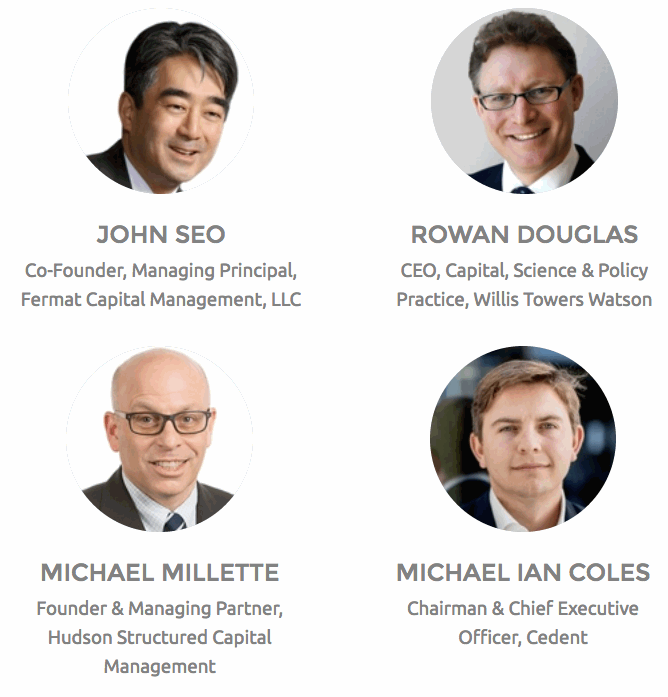 With this New York event we seek to inspire, inform, connect the dots, spark ideas, facilitate networking and offer experienced (or new) executives a chance to reflect on what has gone well and what challenges or opportunities lie ahead in mobilizing the capital markets to invest in insurance risk. This is a carefully curated event, designed to offer something new to those interested in advanced concepts related to ILS and risk transfer, those who want to gain an insight into where ILS is going next, or those who recognize the unique opportunity to network with ILS stalwarts and thought-leaders. At Artemis we seek to track the trends impacting ILS and the convergence of re/insurance with capital markets, as well as how that is changing the traditional business model, so the conference will focus on key topics that are driving the future of these markets. We’re trying to create the kind of conference that we would want to attend ourselves, mixing great speakers, insightful content, a forward-thinking outlook with quality networking. The past, present and future of ILS – What we’ve learned and where next? The global disaster resilience challenge – How ILS & capital markets can play an increasing role. Efficient capital (ILS) & Insurtech = ? – Connecting capital & risk using technology and how that will offer opportunity and disruption. The niches of ILS – Discussing the areas of expansion already being tapped, new business models & future opportunities. Following the four main sessions, our leaders will take the stage together for an interactive Q&A panel with audience participation highly encouraged. Each of the four main sessions may feature guest speakers and other panelists, invited by the leaders or Artemis, but the leaders will drive the content and direction, alongside guidance from Artemis Editor Steve Evans. A full day of insightful talks from leading ILS and re/insurance market thought-leaders along with interesting guests from inside and outside the industry. As well as opportunities to learn from and interact with our speaker faculty, Artemis ILS NYC 2017 also provides attendees the perfect opportunity to network with senior decision makers across the insurance-linked securities (ILS) and reinsurance market. All day our sponsors will be displaying information on their services in the dedicated expo area. There will also be quiet spaces for those quick meetings, refreshments available right through the day, a seated lunch and a drinks reception at the end of the event. For information on sponsorship opportunities please email us at: events@artemis.bm. We hope to see as many of our colleagues and contacts at the event in New York as possible. We hope this will be a different experience to events you’re more familiar with. Please help us spread the word and share the event website with your colleagues and contacts.